One of the things that I love to do, in addition to teaching a whole gaggle of kids in my classroom, is to work one on one with students. I have tutored some of the same children for years, and thoroughly enjoy watching them grow as people and students. They all have strengths and weaknesses just like we all do, and I remind them that my parents supported me just like their parents, and hired a tutor for me when I was their age too! 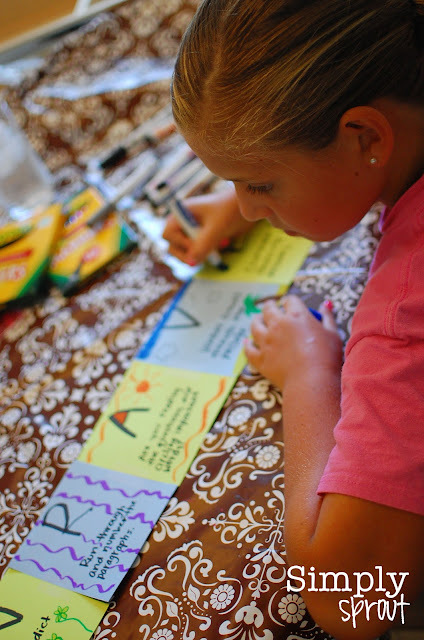 This summer one of my kiddies, Kaki, and I spent some time focusing on the challenging text that sometimes comes with fifth grade. Intermediate aged children are introduced to a wide variety of informational, persuasive, narrative, and historical reading that they are sometimes not comfortable with quite yet. We used a technique to prepare for each passage that a great teacher at my school taught me. Mrs. O'Brien has used this strategy with her students for years, and has had much success as a reading teacher! Many of you have probably heard of the UNRAVEL technique, but this simple foldable makes sure that students have it right at their fingertips at all times. Kaki and I cut some squares of paper, taped them along the back, wrote out and illustrated the technique, and then tucked it in the pocket of her reading binder. Each time that we tackled a new reading passage, we pulled it out and unfolded one square at a time. That allowed her to focus on each individual step in the process. 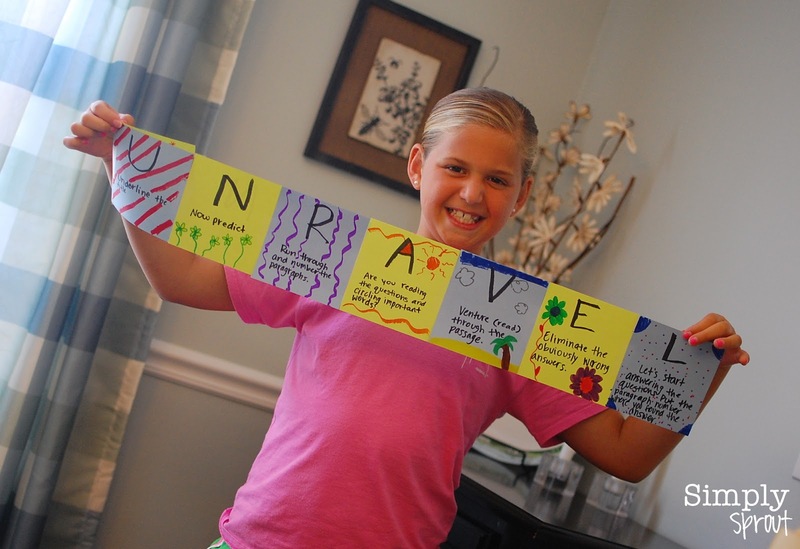 I love that she was able to use her creativity in making her one of a kind foldable, but that this also becomes a tool for her to use in the classroom and at home when working on homework. A - Are you reading the questions and circling important words?